Time for some introduction to new products in Singapore! Lovemore Japan Soymilk Enzyme Moisturizing and Soothing Mask. There are many many regular masks in the market and we can hardly find one that stands out from the rest. All the quality are almost on par and gives us really bad headaches by choosing from a variety of similar products. When we hold up a mask and read from it's description, it's normal for us to keep seeing the same old effects just like any other masks that we hold up in our hands. I have been trying many many different brands that I've gotten tired of choosing but just any-o-how picking up one from those I've tried, that seemed not bad. I guess, many of us are sick and tired of choosing too! 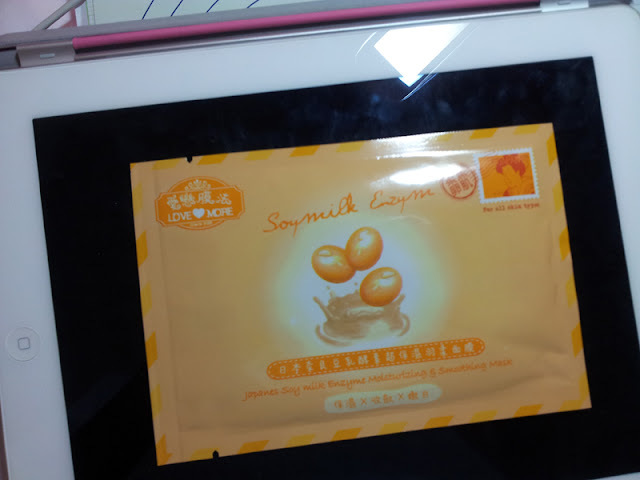 So let me introduce new masks to you and keep trying out new products! The SexyLook Intense Repairing Black Cotton Mask has 2 other siblings called the SexyLook Intense Moisturizing Black Cotton Mask and the SexyLook Intense Whitening Black Cotton Mask. I'm someone who always chooses the most common one that people would pick up; the Moisturizing Mask. This time, I've been given the Repairing Mask instead. That aside, I would like to mention how is this new mask different from the others. This mask has a Far Infrared effect which is activated by the carbon infused to it. This effect absorbs dirt, excessive sebum and refines pores. It rehydrates and repairs the skin for a natural glowing complextion. It also contains obsidian extract from volcanic mineral that promotes mineralization and skin regeneration. Usual masks only rehydrates and refines pores, all-the-time, making our skin feel soft and supple. This masks does more! It even absorbs the dirt and excessive sebum which almost gives a 'facial' effect. I like how extraordinary it is, but I would not use this more than once a week. I might only use it once every bi-weekly. This is because I believe that masks infused with so many effects might over-pamper my skin, causing it to lose it's own ability to protect itself. So other than using extraordinary masks, I would use ordinary ones for weekly usage. 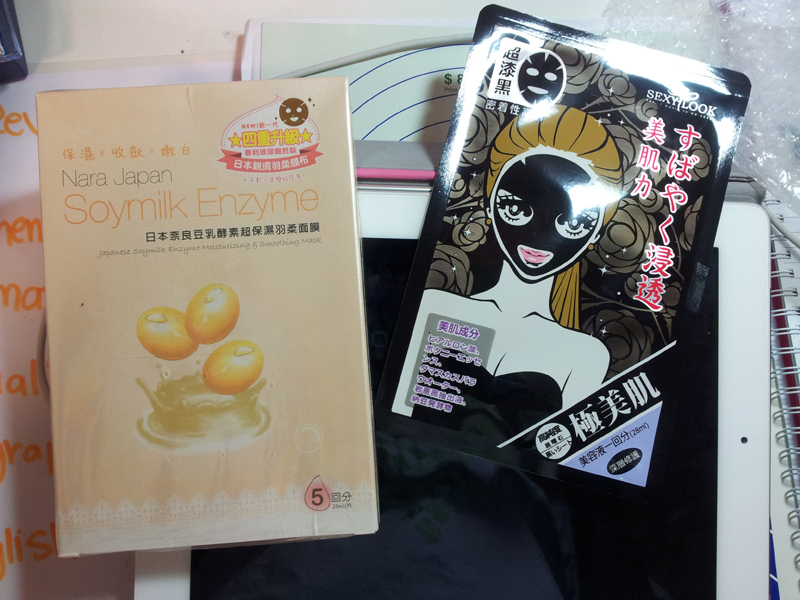 I have also been given the Lovemore Japan Soymilk Enzyme Moisturizing and Soothing Mask. This is one example of the "ordinary" mask that I was mentioning above. It is said to offer More Hydrating, Best Fitting, Intense Moisturizing and Deep Penetration into skin. These uses are have been very common in the market, lately. The previous masks that I have been introducing to you all does all these too. The question is only that, does the mask does what it says? Well, for this mask, yes. It does. This soymilk mask also helps prevent early aging caused by skin problems and rapidly restores skin's clarity. There's not much I can rave about this mask since it's kind of common in the market. To the very least, it really does what it says. It fits well and my skin absorbs it well. So why not get this mask for a change or just for a try. You can get these masks from http://secretive.sg/ or any major drugstore in Singapore and Malaysia. That is all for this post and I hope that you found this information interesting and helpful! 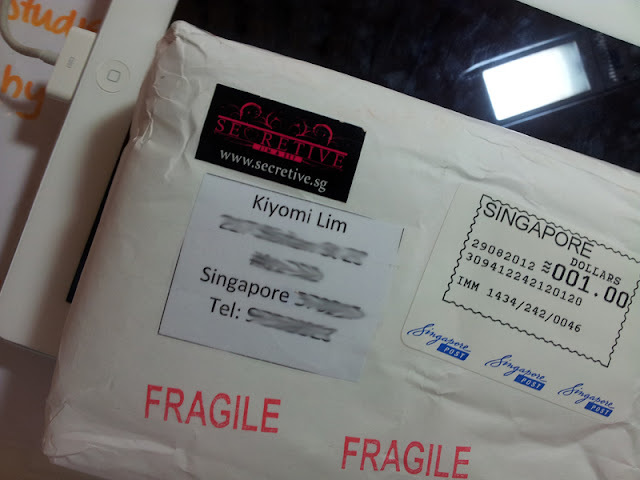 Thanks for introducing this kiyomi! It really works.